In the early 2000s Nigel Beighton was CTO at Lastminute.com. Yet, 15 years on, he says the technology issues he faced then have not changed much. 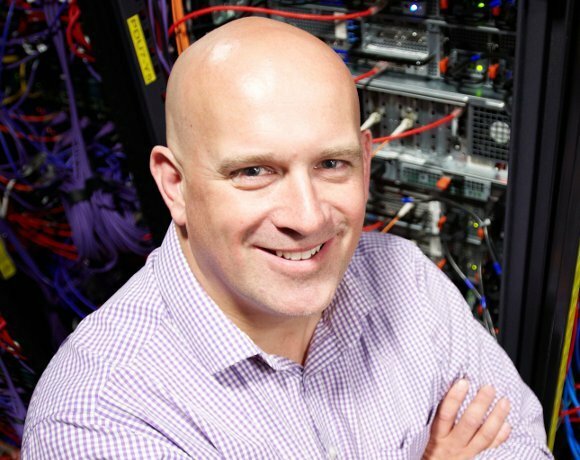 Beighton, who is now vice-president of technology and products at Rackspace, says: "I worked for Lastminute.com in the 2000s, and I look now at today’s systems, and they haven’t moved on." What is worse, according to Beighton, is that some CTOs are failing to track technology trends effectively. He says: "A good CTO should be naturally inquisitive. But a lot of CTOs are not keeping up with the times and the knowledge." Often he says, the CTO is not leading the technology direction of their organisations. Speaking at a Rackspace roundtable in London on e-commerce search, he said that product search had not evolved. He argues that most e-commerce sites work on the basis of publishing the availability of product or stock and hope the user buys from them. Often, sites will have spent a lot of money on Google Ads to get people there. "There’s so much more opportunity for these sites to help people and give them inspiration," he says. Back in the days when he was at Lastminute.com, Beighton said the company spent an absolute fortune on trying to figure out how to do this. "It nearly bankrupted us, to be honest." Today, however, cost is no longer as much of an issue thanks to the availability of open-source tools. The challenge of making product search compelling illustrates a more fundamental problem with IT. From his experience, many seem unwilling to take on free advice such as learning from the best practice in the user communities that support open-source products. Beighton believes times have changed so far as the acceptance of open source software (OSS) in the enterprise. He says: "Ten years ago we would discuss open source versus Windows. Now new technology startups have realised OSS is a fantastic way to build product awareness very quickly. Take Alfresco, Mongo or Hadoop. People will look at it, adopt it and use the new software, which gains huge market acceptance. Open source is a really good commercial model. OSS today is very good commercial software." But Beighton argues that people who work on retailers' websites need to get involved. "We are all aware of open source. Communities have sprung up and people are sharing really good experiences and sharing code. But I don't think retailers and e-commerce people are aware of the value they get for free." According to Beighton, the Lego blocks are now there to enable businesses to enhance the e-commerce functionality of their websites and understand better what products people want to buy. He says: “The fundamental building blocks are there. The ability to scale in a massive way is there. The ability to reach into people’s homes using their mobile phone is also there.” For instance he says there are apps that can provide information based on a photo of a product label or bar code. Such information could be harvested to offer the customer an improved e-commerce experience. Communities that support particular products are a great place for people to gain an understanding of what a new product or open-source tool can do. "The mass majority of information is free, if you want it," Beighton adds. There is much better support available today than when he was at Lastminute.com. "Fifteen years ago, few people understood, and now you have whole communities who understand how to use data. There’s a community of people out there with the knowledge." Still, he admits not enough people engage with these communities. In his experience, a lot of development work is happening in these communities, which makes them a good place to learn best practices. But he says many users do not participate in such communities.. "There are more product and service companies than users. I think users are still not getting out there to get ideas." Speaking of his own experiences, Beighton says: "Anecdotally, when I go to the meetups around Lucene, the open-source search project, half of the people who attend are tech startups. People from retailers and e-commerce sites are absent but they have a lot to get out of this kind of technology." Arguably, it is the role of the CTO to look at these communities to understand how technology can affect the business. For instance, Beighton says that, in the early days of Hadoop, he came across it by talking to a CTO in a small re-insurance business in the US. He says: "They need to spawn an idea. When I go to meet-ups, there might be 10 people in a pub, or 200 people at a user conference, and I think those are fantastic places, where people are discussing what they could do differently. I think CTOs have not caught up with what is going on." But CTOs often face resistance to change in their organisations, which can hold back the adoption of new technologies. When asked how a CTO can work around this resistance to push through technological innovation, Beighton says: "The CTOs need to make good decision about what's the best time to implement a technology like Hadoop – that is, when it gives a completive advantage." For instance at Rackspace he says: "I look at technologies that I would say are not a good fit for our business right now." But he argues that it is imperative to stay ahead of the technology curve. "Five years ago we were in a mature downbeat, now there is an imperative of being absolutely aware of what is out there." Well, what is described in the article is about humans. People didn't evolve nearly as fast as the technology in the last 50 years. Yes, they can be pushed to adapt, but also the companies must account for the old human nature.